As some of you may know, Sierra has already shutdown Master List servers for well over 21 classic PC games. It is always disheartening to see such lacking appreciation for gaming history, but for most companies business is business. There was one game not mentioned in this list. 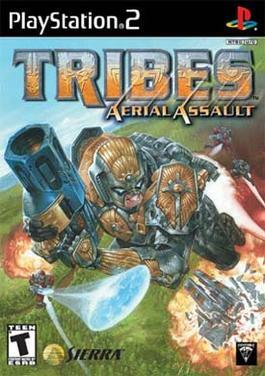 A game that wasn't even a PC game at all, but the PS2 US exclusive port of Tribes 2 named Tribes Aerial Assault. It shared the same master list as Tribes 2, and thus was terminated right along with it. Fortunately, the ability to play this great game online to its full potential has been preserved. A replacement Master List application has been coded by OC community member Dreamcast ™. Not only will OnlineConsoles be hosting a new publicly accessible Master List for Tribes Aerial Assault, but the programmer will be releasing the application to everyone as per our moral policy. Remember, the power should be in your hands to continue networking the games you love to play. Even though OnlineConsoles.com hosts top notch gaming services for you, we also strive to enable everyone to run these same services on their own should they choose to. The master list has already been coded and tested. It works and is a reality. The first build to be released is Windows compatible, and has been tested on WinXP and Windows Server 2003. The server was coded with a Linux port in mind. So expect that as well with time. OC is already hosting a new TribesAA Master List, which is currently online for you to access! Simply create a new network configuration on your PS2 for Tribes Aerial Assault and enter 72.232.232.162 in the Primary DNS field. This will redirect TAA to our new Master List. This runs on OC's dedicated gaming server which also provides a variety of services to online console players. Please only host matches from your Playstation 2 console. This enables you the ability to add bots to online matches, where as Tribes's PC based dedicated server "AADS" does not allow for this. Also, it has been proven that the AADS software has become incompatible over time, and currently has a severe network latency (lag) bug that persists even in a LAN environment. So please cease using the AADS server software for network gaming. Host TribesAA from your Playstation 2! While we managed to re-create the necessary software to run a master list for the game, TribesAA would still be playable online regardless. When you access the in-game server browser it will display that interface whether you can reach the master list server or not. It will show any locally hosted servers on your home network. So, as a last resort TAA could be tunneled online over XLink for Online play. However, we felt a PC classic of this magnitude deserved a real master list to give people the best way possible to play online. Please be aware; like all game restoration projects, the new master list was developed under specific circumstances. Coding a master list for TribesAA was not necessarily easy, but "easier" and more realistic than approaching any other PS2 online game. For starters TAA does not go through DNAS, otherwise this project would have been impossible. Secondly, it doesn't take advantage of more widely used full service options from companies like GameSpy, Sony, EA, or Ubisoft; which contain functions like Chat Rooms, Clans, News Info, or Online Rankings. Tribes Aerial Assault used a straight forward Master List, based on its PC counterpart Tribes 2, that cached a list of currently hosted TAA servers, and then sent that list out to your PS2. So be sure to setup your PS2 for online play on our brand new Master List for Tribes Aerial Assault! Be on the lookout in the next week or so for a download of the Master List software so the gaming public at large can archive and use this software as well. Also, we have a discussion thread dedicated to this news over in our Tribes Aerial Assault forum.